Pop up workshop on April 2nd for Str8Jacket Company!!! Str8jacket will be hosting a series of workshops from mid-March until early May. Come dance and grow with us this spring! 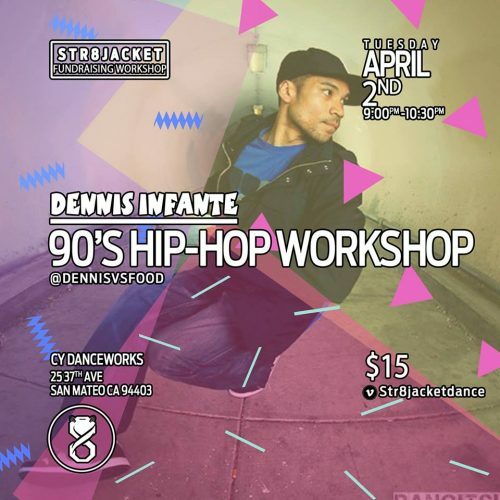 Our workshop series is one of our fundraising initiatives to help Str8jacket travel and perform at Elements, VeRve, Ultimate Brawl, World of Dance Champs, and more!